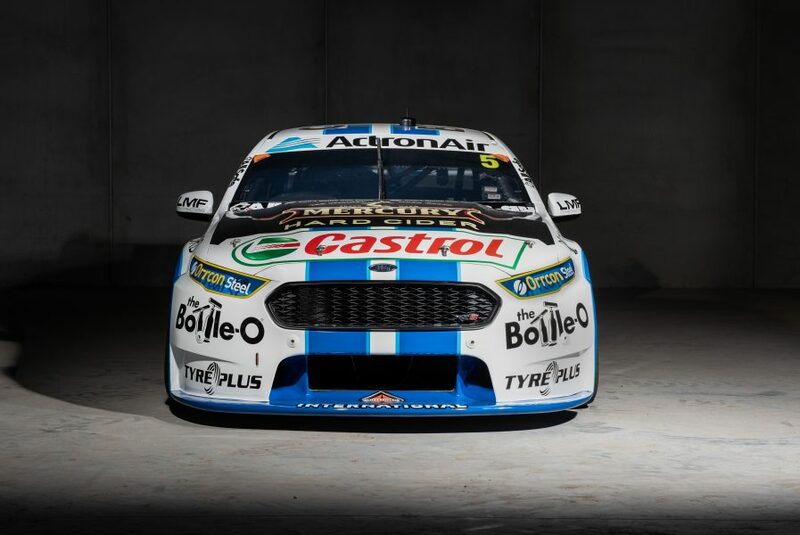 Ford’s famous Cobra colour scheme will return to the Supercheap Auto Bathurst 1000 this year with Tickford Racing. 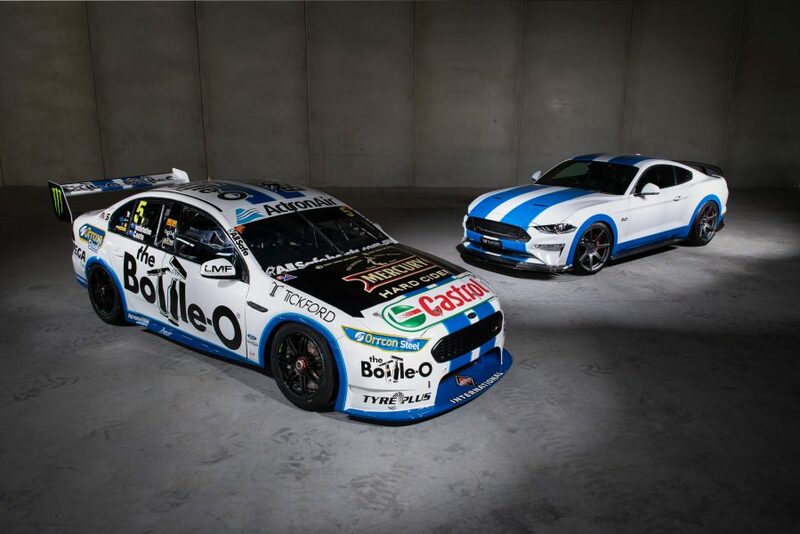 Forty years after the Moffat Ford Dealers team ran its XC Falcon Cobras at Bathurst, Mark Winterbottom and Dean Canto’s The Bottle-O entry will adopt the colours. Tickford has unveiled the livery alongside its latest Mustang-based road car offering, dubbed the TSV-535R, through its Tickford vehicle enhancement business. It is the second time that Winterbottom will have competed with the Cobra racing stripes. Tickford’s forerunners Ford Performance Racing and Ford Performance Vehicles undertook a similar project in 2007, promoting a limited run of BF Falcon-based Cobras. “To showcase what’s happened at the Mountain in previous years is pretty exciting,” said Winterbottom, who won Bathurst in 2013, but is without a Supercars race victory since ’16. “I’m proud to run the colours and hopefully it does well. “Anyone is a chance [at Bathurst], there’s no substitute for experience at that place. 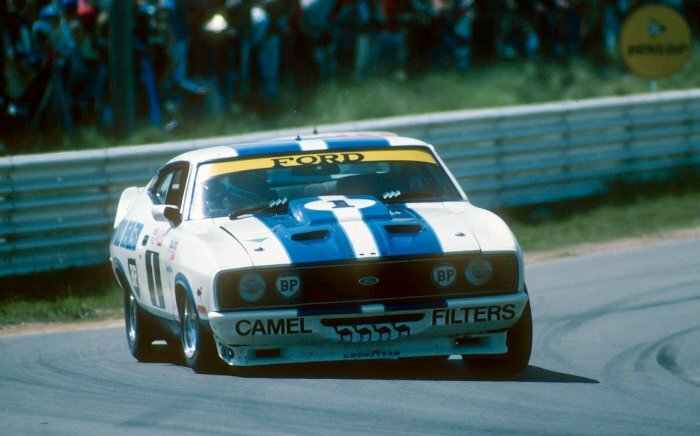 The Bottle-O car has run a succession of one-off liveries at Bathurst in recent years, including Tickford’s 1977 Moffat tribute in 2017. 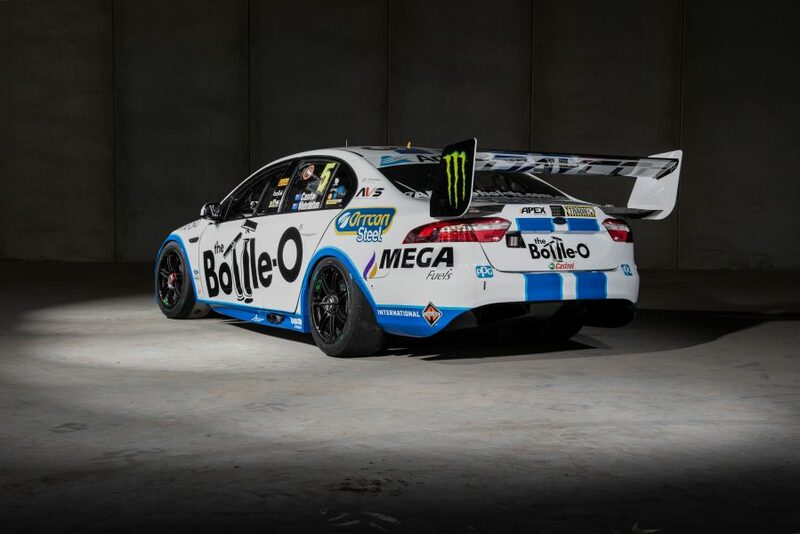 “Bathurst is of course a very special event, and we’ve been happy to run a special livery on the car the past few years,” said Rod Pritchard, CEO of Australian Liquor Marketers. “The Bottle-O prides itself on making a personal connection with its customers, and motor racing has helped us forge relationships with thousands of dedicated fans over the years. The TSV-535R – which does not officially carry Ford’s Cobra nameplate – Mustang upgrade package boasts 400kW (535 horsepower) and 632Nm of torque. Other features include a carbon fibre aero kit, Michelin Pilot Sport 4S tyres, unique seven spoke wheels, leather interior, a carbon fibre/leather steering wheel, and the racing stripes. Tickford managing director Rod Nash says he’s excited to reveal the project. “The TSV-535R is inspired by several historically significant cars in the Ford line up and we are excited to present it and add to the legacy that cars like it have laid out before,” he said. “The extensive upgrade list included with the vehicle is wildly impressive, and I commend the work our team has done. We bleed blue at Tickford.